Το Happy Land Hotel, στην περιοχή Περιοχή 1 σε Ho Chi Minh City, αποτελεί δημοφιλή επιλογή για τους ταξιδιώτες. Μόλις 0.1 KM από το κέντρο της πόλης και 6 KM μακριά από το αεροδρόμιο, αυτή η 2.5 αστέρων ιδιοκτησία προσελκύει πολλούς ταξιδιώτες κάθε χρόνο. Από τη βολική της τοποθεσία, η ιδιοκτησία προσφέρει εύκολη πρόσβαση σε κορυφαίους προορισμούς της πόλης. Στο Happy Land Hotel, η άψογη εξυπηρέτηση και οι ανώτερες εγκαταστάσεις συντελούν ώστε η διαμονή εκεί να σας μείνει αξέχαστη. Οι πελάτες του ξενοδοχείου μπορούν να απολαύσουν υπέροχες δραστηριότητες όπως τα 24ωρη υπηρεσία δωματίου, δωρεάν WiFi σε όλα τα δωμάτια, 24ωρη φύλαξη, παντοπωλείο, ημερήσιος καθαρισμός. Τα δωμάτια του ξενοδοχείου έχουν διαμορφωθεί προσεκτικά ώστε να παρέχουν υψηλό επίπεδο άνεσης και την ευκολίας. Σε κάποια από τα δωμάτια, οι επισκέπτες μπορούν να βρουν επίπεδη τηλεόραση, κρεμάστρα ρούχων, δωρεάν καφές φίλτρου, δωρεάν τσάι, λευκά είδη. Εξάλλου, το ξενοδοχείο διοργανώνει πολλά ψυχαγωγικά δρώμενα έτσι ώστε να έχετε πολλά πράγματα να κάνετε κατά τη διαμονή σας. Με την ιδανική του τοποθεσία και τις καταπληκτικές του υπηρεσίες, το Happy Land Hotel θα σας ευχαριστήσει σε πολλά πράγματα. Σύμφωνα με το νόμο, ένας αλλοδαπός δεν είναι δυνατό να μοιράζεται ένα δωμάτιο με έναν πολίτη του/της Βιετνάμ χωρίς πιστοποιητικό γάμου ως αποδεικτικό στοιχείο. Η ιδιοκτησία ενδέχεται να απορρίψει την κράτηση ή να ζητήσει την κράτηση δεύτερου δωματίου, εφόσον δεν παρουσιαστεί το κατάλληλο αποδεικτικό. 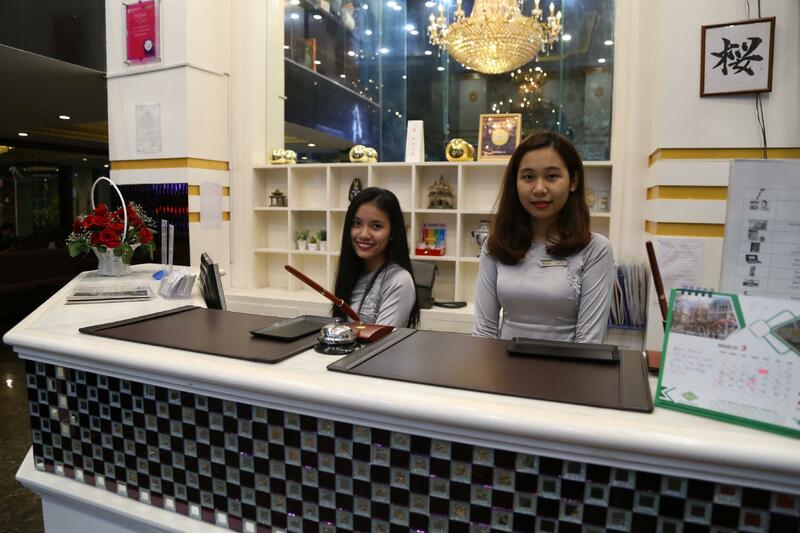 I am very impressed by the staffs here, especially, the receptionist is all girls who are really friendly, helpful. Sometimes they prepare your breakfast (it’s special because I haven’t seen any hotels like this) they’re busy but always smile. I was surprised by its high rating. 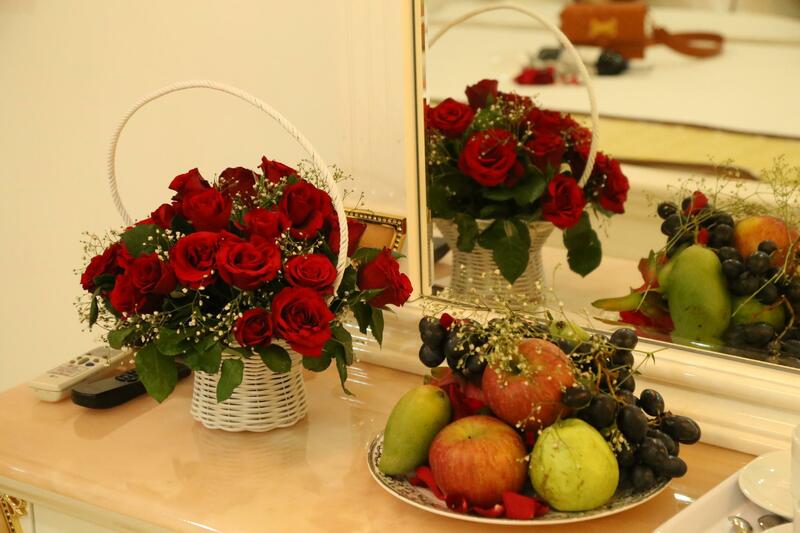 Considering that the room given to my wife was very bad. 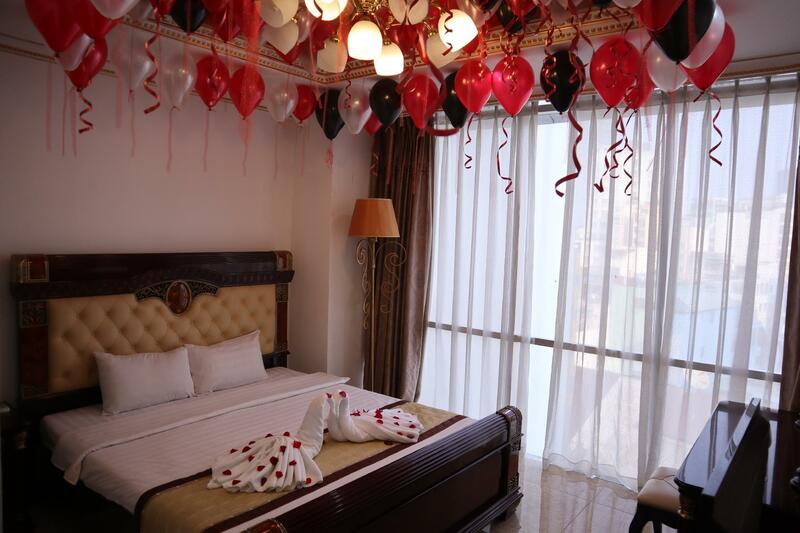 Fortunately one of the staff did change the room for her and gave her a clean room with good functioning facilities, clean bathroom, new and comfortable beds. My wife was very happy with the friendly staff who changed her room, and also the location is near many food and market for drinks, snacks etc... breakfast was not so good, few options and no soup. Location : 5 min from Ben Thanh Market. 10 min to Independence Palace, HCM museum, Museum of Fine Art, Tao Dan Park. Bonus point is next to a 24 hour convenience store which sell slightly cheaper then Circle K or Family Mart. 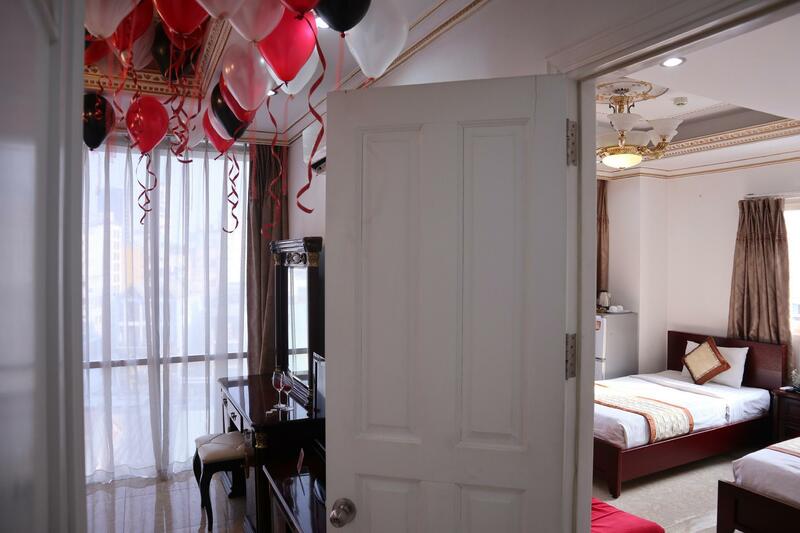 Room : It a bit small but I cant complain much due to the money we pay for it. My comment for the room entrance to have some spacing to put my shoe at a corner spot. It is quite sound proof as my room tv sound cant be heard even when I stand outside of my room door to test it. Bathroom : Love the huge space. Suggestion to have a rack in the shower glass for us to pick up the soap easier. Staff : Very friendly staff & smile all the time. They even open the door for me when I about to came it from my day trip several times. Facilities : I did not see much facilities. Anyway, I choose this hotel is mainly due to its price & location. Breakfast : A bit dissapointed in their breakfast. I stay for 4 nights & the food we took is 80% the same each day. Positives: Fantastic location, only a few meters to Ben Thanh market and highly popular STREET FOOD food court. Staff were friendly. Hotel was reasonably new and clean. Classic European inspired decor was nice. Negatives: Room main entrance door was fitted with primitive cheap lock and traditional key operated (anyone can make a copy). I would have liked a digital card operated key for convenience and security. Shower screen hinges fitted on the wrong side which made access awkward (would be very difficult for a larger person to access). In room safe was small and would not fit a standard sized laptop. pro: near to ben tahn market, restaurant opposite is cheap. minimart next to it. staff is friendly and understand english, room is spacious, so as toilet and shower room (water pressure so so and hot water is ok). tv with english channel, air cond is cold enough. i was place at the back room of the hotel so it is quiet. provide breakfast. con: the window dont have lock handle and it is very close to the back security staircase. 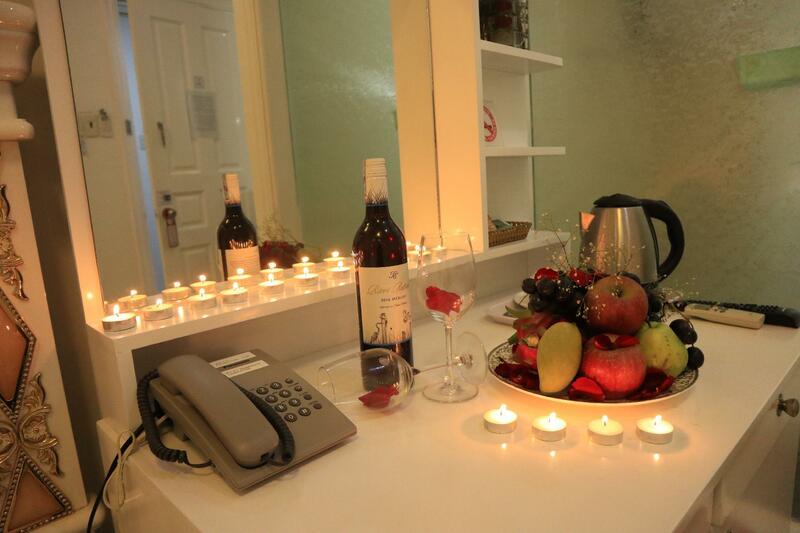 The Staff are very respectful, exceptional friendly and helpful, the location is excellent and convenient. However, many rooms are in run-down shape, water is leaking and needed overall repair, walls were covered with molds and not healthy for the long stay, the furniture are cheap and not consistent. Huge family room (3 × king beds) very run down looking room and bathroom tiny. Breakfast is basic but ok. Location is excellent for the street food markets and Ben Than market. Ok for a couple of days stay. Tip - dont use the laundry basket in your bathroom unless you want them to wash your clothes. We put our dirty clothes in, house keeping took our clothes and washed them while we were out without us asking to have our clothes done, or any information suggesting the basket was mandatory washing and then charged us for it. Dont use the massage place next door! Rude and the price magically doubles when its time to pay. We stayed at the hotel for 4days. I can say that it is worth the money you paid for. GOOD Location and clean facilities and good breakfast. Except for our last day that the aircon more likely freeze up and that cause water leak. But we had reported it and the receptionist provide an electric fan..
Japanese theme hotel hence the rooms are are decorated to minimalist design. Hotel towels and sheets are kept clean. Showers come with strong water pressure and Wifi strength is good. 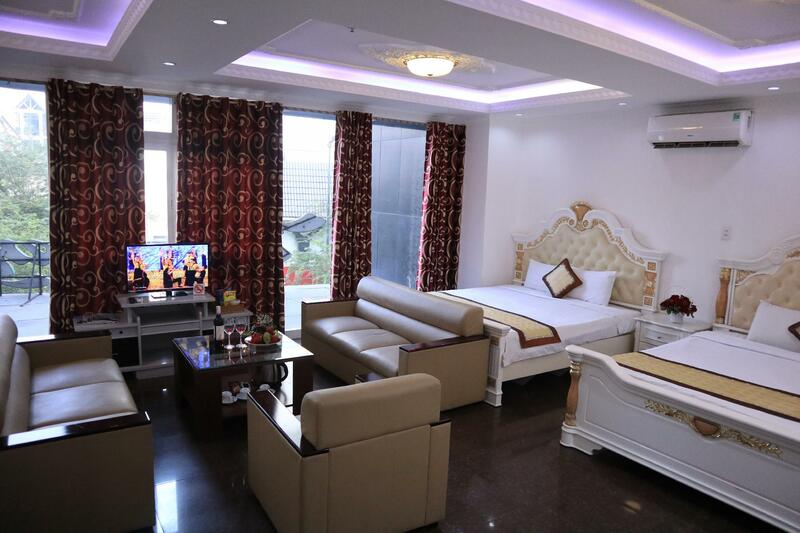 Overall that is what most travellers desire,: Clean sheets, shower with strong water pressure and good Wifi . Can't really ask for more , can one ? 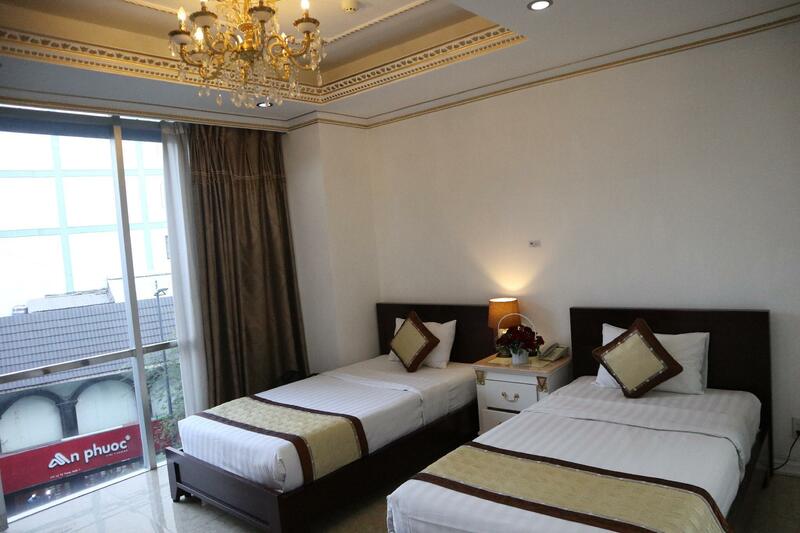 Located near to the popular tourist spots such as Ben Thanh Market, Saigon Post Office, Independence Palace and etc. There is one Family Mart nearby too. Despite we went there in a group of Six, the room is clean and big enough to let us have a pleasant stay. The staffs are extremely helpful. They helped us to arrange the transport to the Airport. The hotel definitely worth to stay. The price is value for the money. The owner and his employers are very friendly and attentive to all their customers need. We are from Japan and we were glad that the hotel is run by japanese who can speak both english and of course japanese. 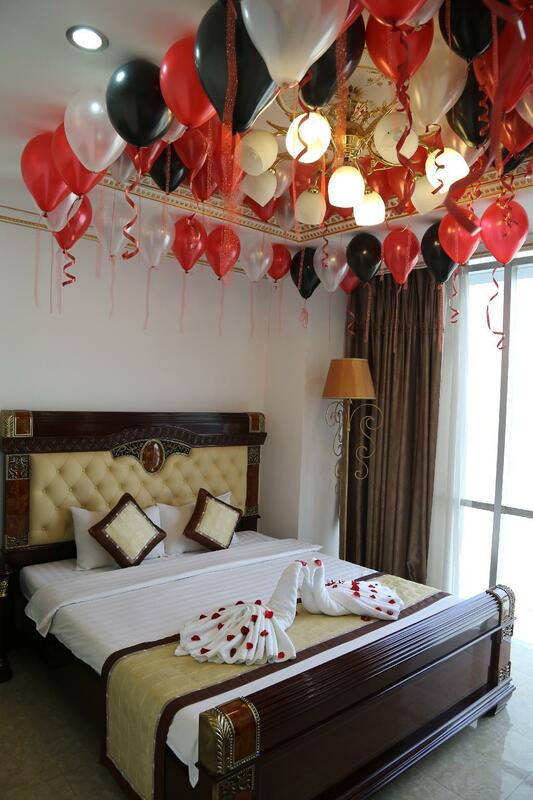 It was our 4th visit in Vietnam and we will definitely come back and stay at HappyLand hotel. Close to Ben Thanh Market where you can find a lot of food and shopping items. Walking distance from the high-end central places. Have lots of travel agencies to choose if you want to go or a day trip outside HCMC like My Tho/Mekong Delta. Good location near market. Just finish renovation. Room had a big window and quiet Airconditioner. Bed very hard for Europeans. Only 5cm latex mattress in the bed. Bed linen and towels good quality and new. Easy check in. Breakfast need to order, no buffet but for me good. Coffee only Vietnamese style.